C.F.W. 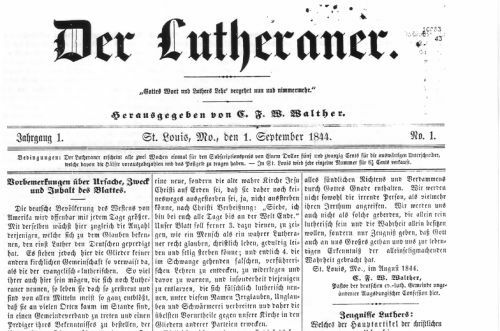 Walther (1811 - 1887) began publishing Der Lutheraner in September of 1844, which was some five years after the Saxons settled in America and about three years before his church body, the Lutheran Church - Missouri Synod was formed. I am pleased to have come into possession of the first 90 volumes of Der Lutheraner from Germany, of all places, and have been thrilled to read the first volumes and to begin translating the same. 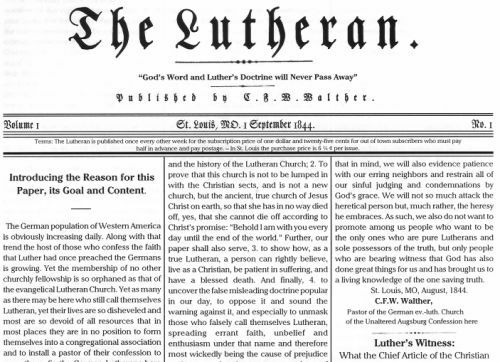 After having issued the first two years of translations, and sending them out bi-weekly, though not polished, to our subscribers, I labored feverishly to get the third year (the year of Synod's formation) done in time for the 125th anniversary of Walther's death.